Institute for Honor Symposium Religious Values and Public Policy: Does the Separation of Church and State Also Require Separating Religion from Politics? From the beginning of colonial America, religion was integral to public life. Religion’s special place in the new American nation was enshrined in the First Amendment, which prohibited Congress from enacting laws respecting an establishment of religion or prohibiting its free exercise. In 1802, Thomas Jefferson characterized this language as “building a wall of separation between Church and State.” Lively debate has ensued ever since. Was Jefferson correct? If so, what precisely does such a separation mean? 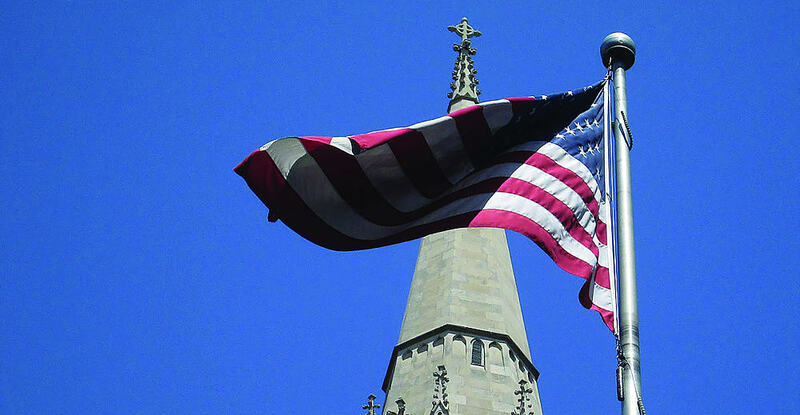 In particular, does separating church and state also require separating religion from politics? Join us for conversation on this important and complex subject, which is not only central to understanding American history, but also relevant to a number of current public policy disputes. A renowned law and religion scholar, Emory University’s John Witte Jr., will deliver a keynote address, “Separation of Church and State in American History and Today: Facts, Fictions, and Future Challenges.” Daniel Mach, director of the American Civil Liberties Union Program on Freedom of Religion and Belief, will share insights based on his ACLU experience and his prior legal practice specializing in First Amendment law. Sam Calhoun will examine the role of religious values in Abraham Lincoln’s opposition to slavery. Calhoun will also introduce the symposium by setting forth key themes and issues, as well as lead a closing panel discussion. To register, please contact the Office of Special Programs at spclprog@wlu.edu or (540) 458-8723.